In one of the Bible’s most significant understatements, God said to the first mom: “In pain you shall bring forth children.” Surely no one who has ever been a parent would argue with it. Of course, it’s not referring merely to the physical pain of labor and delivery. At that point, the pain is just getting started. It’s the pain of broken bones and broken hearts and broken dreams. It’s the pain of arguments and addictions. It’s the pain of birthing a child and raising a child in a world that’s been corrupted by sin. 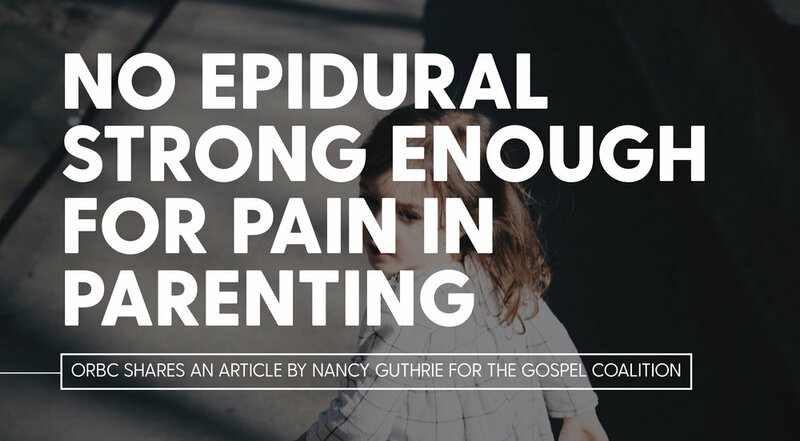 There’s simply no epidural powerful enough to overcome the pain involved in parenting.